Perfect for your 4th of July decorating. 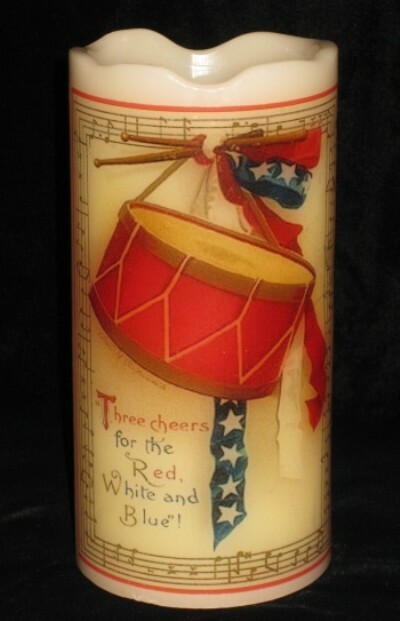 This flameless, battery operated 6" pillar candle is truly unique. 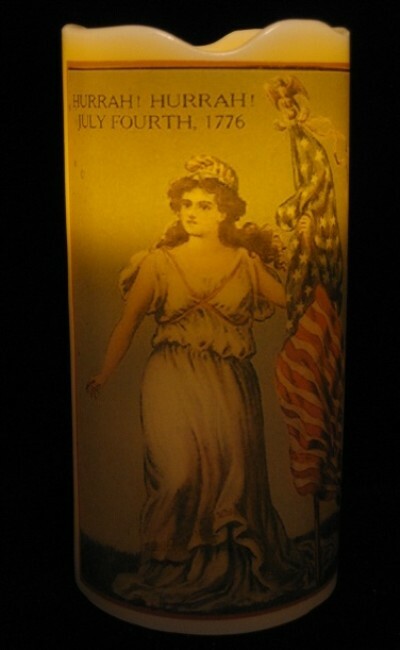 The vintage images of the beautiful woman holding the American flag on one side and the American flags waving in the breeze on the other side have been adhered to the candle and sealed for permanence. 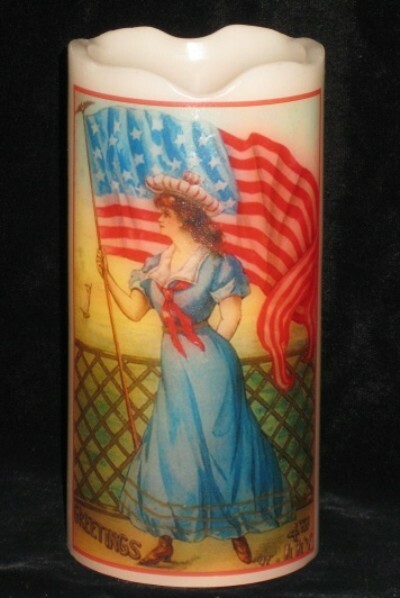 This candle is beautiful either way ... on or off. See how beautiful it is when turned on with the light shining through the wax? 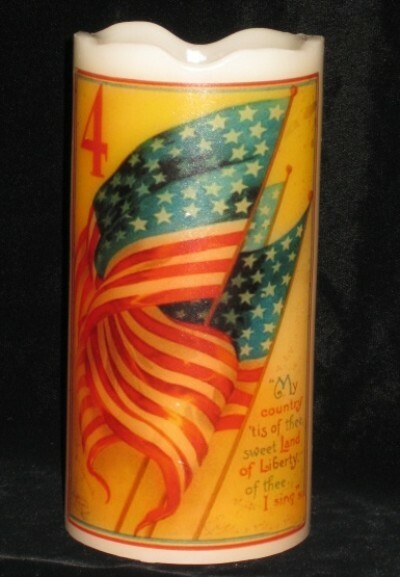 It flickers just like a real candle, but this one you can keep for years of decorating. 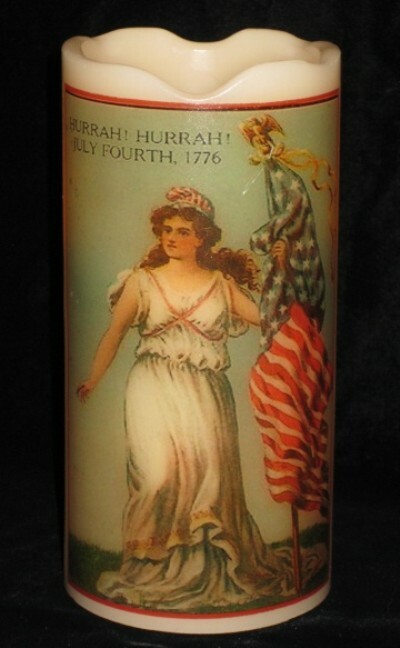 The vintage images of the beautiful woman holding the American flag on one side and the drum with the words "Three Cheers for the Red White and Blue" on the other side have been adhered to the candle and sealed for permanence. 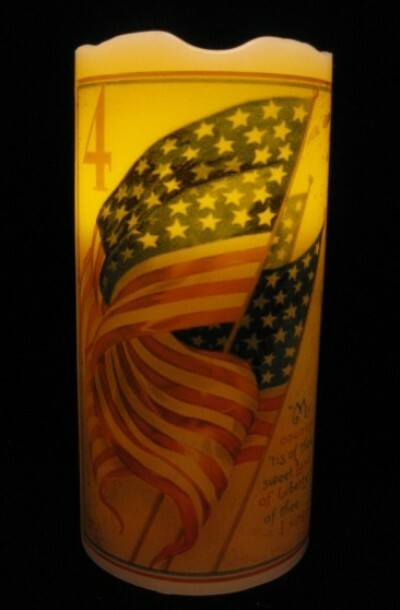 This candle is beautiful either way ... on or off, and comes with a timer option ... 5 hrs. on 19 hrs. off daily.